January was a pretty important month for me - it was the month that Sparkles & Stretchmarks was born! 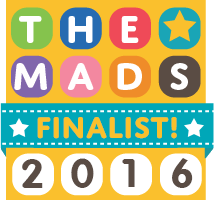 I had previously run my blog as "Make Up, Movies & More"...a beauty and film review blog that I wasn't great at keeping up with. 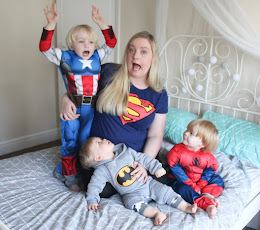 But at 28 weeks pregnant, morning sickness had FINALLY stopped kicking my arse and I was feeling back to my normal self again - I needed a creative outlet and wanted to document what was left of my pregnancy, and so Sparkles & Stretchmarks was started! 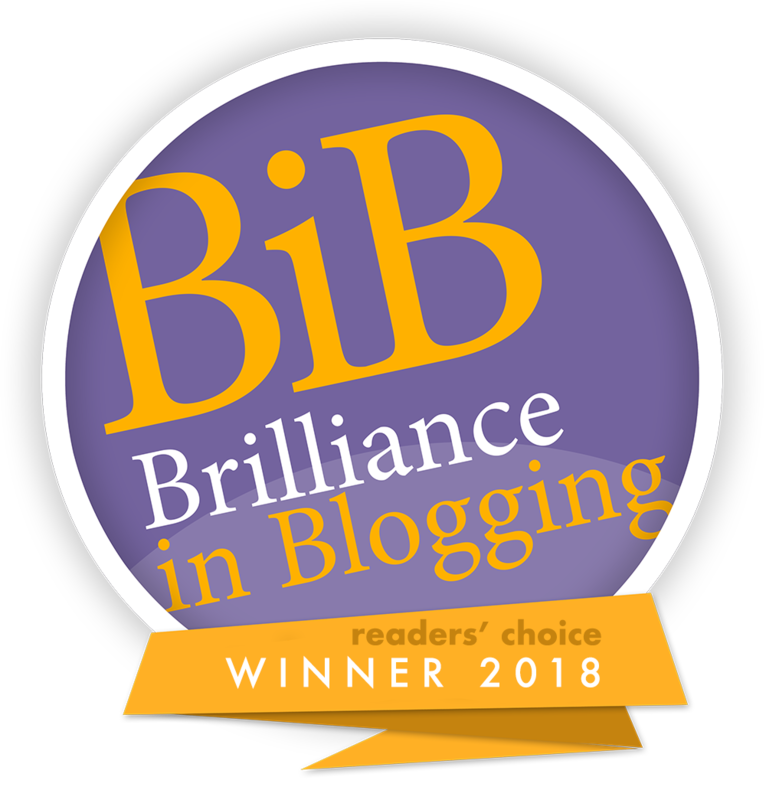 I'm so glad I changed the theme of my blog as I haven't looked back since - I don't think I've ever enjoyed a hobby as much as this and I never would have imagined that less than a year later I'd have this amount of followers and hits and have made so many lovely new friends in the blogging world! And to have had some of the opportunities I've had from a hobby I love so much has been truly a blessing! February saw ups & downs....the major down being that I was rushed to hospital via ambulance when I collapsed on holiday with my family in Torquay. I was diagnosed with gallstones and was kept in hospital for a few days, which was rather horrible as I was 33 weeks pregnant and Jon was still at home in Liverpool so I was on my own....Luckily they decided it best not to operate due to the pregnancy. The ups included more scans to measure the growth of the baby, meaning we got another little snapshot of Bean....see above! March was a very exciting time as my due date was April 4th but knowing I would be having a c-section meant the baby would be arriving at the end of the month! 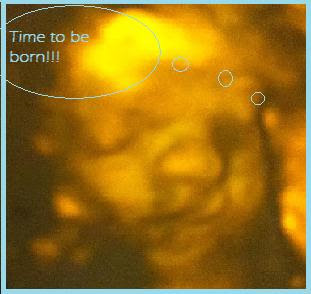 We started March with a 4D scan courtesy of my Mum which was a great experience. And of course....the 26th March was the highlight of my year life! Tyne William Henry was born!! April was a very exciting month! We spent it getting acquainted with our lovely little Tyne, as well as celebrating his first Easter when he was just 5 days old! May was a pretty quiet month spent just enjoying the summer days with our lovely baby boy, spending days out in various parks and taking endless photos!! June was the first "holiday/event" we had as a family with the arrival of Fathers Day, when we enjoyed a nice family meal out together. We did a lot of that in June actually...we certainly made the most of summer days out! Unfortunately June also saw the passing of my lovely Nan. I so wish I'd just taken him to meet her once. July was our last month living in Liverpool, so we made the most of enjoying life in the city while we could. During July we decided on a house to rent in Devon and during the last week of the month, Jon headed there to get the place ready for Tyne & I to join him later...so we had a couple of weeks on our own living at Nanny & Gagands house. It was a big adjustment but we settled in well pretty quickly. 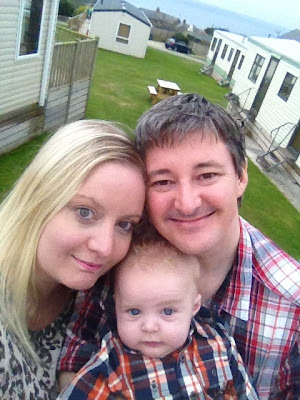 We also had our first night away as a family of 3, spending the night in a caravan in Cornwall! 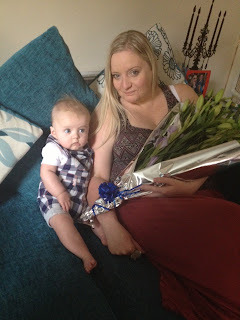 September was a big month for Tyne - he became a big cousin to my lovely little nephew Kier! As much as we love Amelie & Lottie, I think it's nice for Tyne to have another little boy around and just 6 months younger than him too! 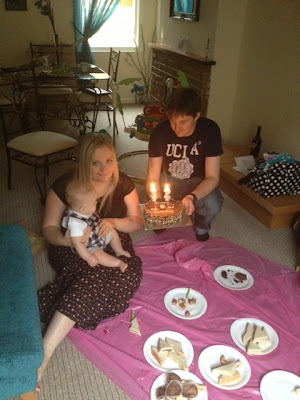 September is also my birthday month, and my first Mummy-Birthday was absolutely lovely! October was a very fun month, we had lovely days out to places like Plymouth Aquarium. We also went on our first proper family holiday in October - our night in Cornwall in August gave us the taste for it, and we had a 5 day break in Hendra Holiday Park in Newquay! And of course, it was Tyne's first Hallowe'en! 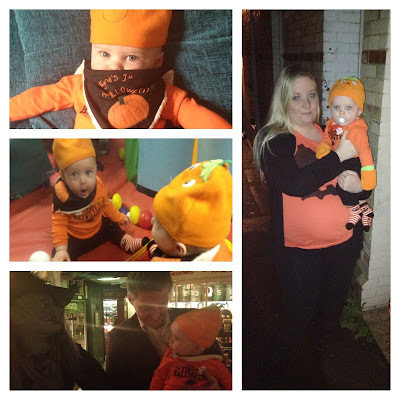 We went to Bygones victorian museum for a spooky day out, had fun at Soft play and of course did a little trick or treating! 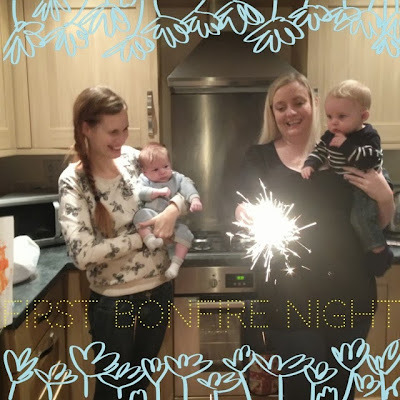 November was of course busy with preparations for the upcoming holiday season, but it was also Tyne's first bonfire night! We spent the night at Aunty Laura's enjoying a firework display and having fun with sparklers...all very exciting! And finally, my favourite month of the year, December! Of course this month has been filled with Christmas fun! From Victorian evenings in town, to visiting Santa (twice!) and of course...the big day itself! Tyne's first Christmas has been so magical and one we will always have lovely memories of. And so as the year draws to a close I'm filled with so many fond memories....2013 has truly been a life changing and amazing year for me, absolutely the best year of my life so far. I am looking forward so much to 2014 and watching Tyne grow & learn everyday. What's been the highlight of 2013 for you? If you've done a similar post, please link me to it! The highlight of 2013 for me was my son learning to walk and talk! It's amazing having a conversation with him now! aww what lovely photos! My highlight as been watching my little lad improve at schoo. So proud of him! can't believe how quick it goes when they are this young! Such a wonderful look back. Happy times! What an impressive year 2013 was for you! My highlight of 2013 was being at the birth of my niece (my sister and her husband) in November 103, it was wonderful and magical seeing her being born and I will never forget it. Amazing to see the difference a year makes! Tynes little smile on his Christening Day, adorable! Great pictures - an eventful year! a great year for you with lots of changes! Looks like 2013 was a great year for you and your family, lovely pics. It has been a life changing year for you. Your little baby is so beautiful! Good luck for 2014. You certainly had a busy tear! Thanks for sharing your gorgeous pictures. Love the hospital/ newborn one. I love newborns. Aww, I love how you've documented everything. I am totally crap at keeping track of events. Love the photo of Tyne looking at Santa! I suffered terribly from Gallstones myself. The pain is the worst I have felt in my life. After 2 years of attacks I had keyhole surgery to remove my gall bladder & it is the best thing I have EVER done! What a lovely year for you all! It's lovely seeing all your photos and watching Tyne grow. I wish my son was small again, I miss all the cuddles! What a great picture diary! It's lovely to review the year like that. The highlight of my year was my nephew's wedding where all the family were together for the first time in a very long time. Lovely montage of pictures-the Christening one is nice. Absolutely fantastic to see what happens in a year!